Managed Care Organizations are quickly becoming substantial components of the skilled nursing reimbursement system. We are noticing a trend in facilities where key players have limited or no access to the specifics of different Managed Care contracts that were negotiated for the facility. Today, I want to talk about Assessment Reference Date selection or ARD Management. One of the key factors for selection of ARD is the communication between the MDS Coordinator and the therapy department. Whether you have a Rehab Manager or somebody within the department who is designated to communicate with the MDS Coordinator, it is significantly important to schedule a time to meet regularly. 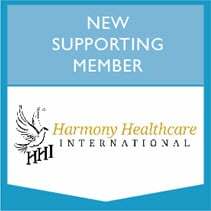 Truly, here at Harmony, we feel as though ARD management should be something that occurs on a daily basis so that MDS and Rehab are discussing any time that there is a change in the level of care provided to a patient through the therapy minutes. Potentially, a patient could get sick and miss therapy minutes or maybe a patient is doing exceptionally well and therapy is able to provide additional minutes to that patient. The bottom line is that every day there should be some type of communication between MDS and Therapy to make sure that you are capturing the most accurate level of service provided to the patient. This will in turn allow the facility to receive the most accurate level of reimbursement for the services that you are providing. This hopefully will spur some discussion between MDS and Rehab. Harmony Healthcare Launching Therachirps Blog! Rehabilitation Therapists are integral members of the interdisciplinary team as is their participation in the process of resident assessment to choose an Assessment Reference Date. The routine therapy screen assists in identifying areas of decline or the potential for improvement, before loss becomes permanent or opportunities for improvement are missed. It is appropriate to perform routine therapy screenings. While quarterly screens are optimal, a screen should be completed no less than annually. The proactive timing of screens may positively impact resident function; Medicaid reimbursement as well as the Facility Quality Indicators in risk indicators. Optimal scheduling of routine screens involves completing the screen in conjunction with the OBRA assessment. It is beneficial to complete the screening process 2 weeks before the scheduled Assessment Reference Date in order to coordinate services as indicated. This valued intervention is supported in regulations (F406: §483.45 Specialized Rehabilitative Services). It is important to note that an MDS assessment may be done early but never beyond the 92 days allocated. There is the option of also completing an additional assessment as the RAI Users Manual indicates that Quarterly assessments are to be completed minimally 3 times per year following a comprehensive assessment. In order to obtain maximum impact for these delivered therapy services, an Assessment Reference Date needs to be planned and set to capture: At least 150 minutes of therapy per week: 1 therapy 5 days/week or 5 days of therapy across 3 disciplines.